Laser assisted lipolysis is one of the biggest growth areas in the cosmetic industry, and that’s due in large part to the success and effectiveness of models like the Cynosure SmartLipo laser machine. Featuring a 1064 nm Nd:YAG laser in three different configurations – 6W, 12W or 18W – the Cynosure SmartLipo can destroy fat tissue and tighten skin faster than any other system on the market today. Regardless of which wattage system you select, a pre-owned Cynosure SmartLipo laser system will deliver enough power to effectively melt fat and tighten tissue for impressive results without all the side effects of other treatment methods. 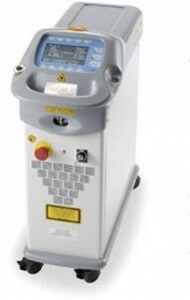 Contact us today for a no obligation price quote on a used Cynosure SmartLipo laser system. If you have checked the prices of a new Cynosure SmartLipo laser system, you know that it represents a sizeable investment. At SunrayLaser.com, we can shrink the size of that financial investment considerably. We have used Cynosure SmartLipo laser systems for sale at prices that are as much as 60% off retail, and we always provide a full satisfaction guarantee so that you can buy with complete confidence. To get the lowest price on pre-owned Cynosure SmartLipo laser equipment, just fill out the contact form below and we’ll respond promptly with a no obligation price quote. We are also happy to answer any questions about this model or any other in our extensive inventory of used cosmetic laser machines.